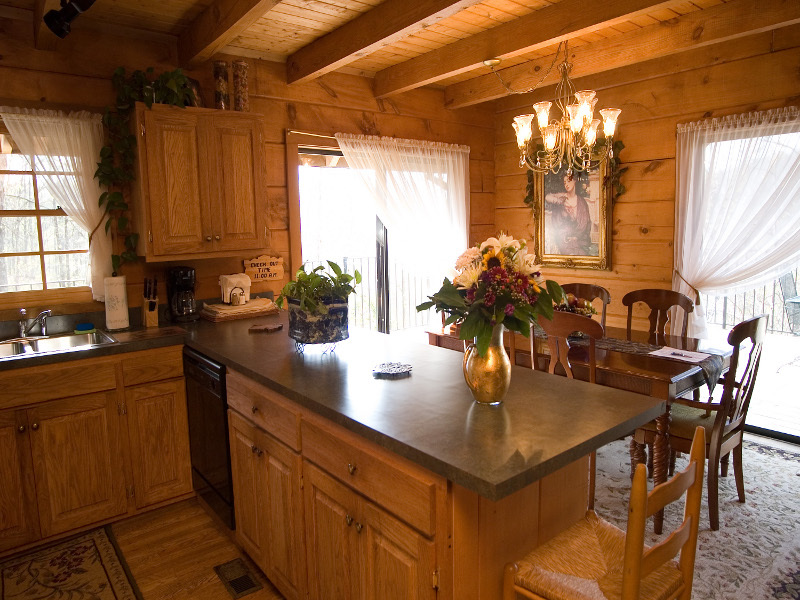 Take a stroll along the hiking trail and you will come upon Azalea Falls Cabin, a 1700 square foot, chalet style log home. 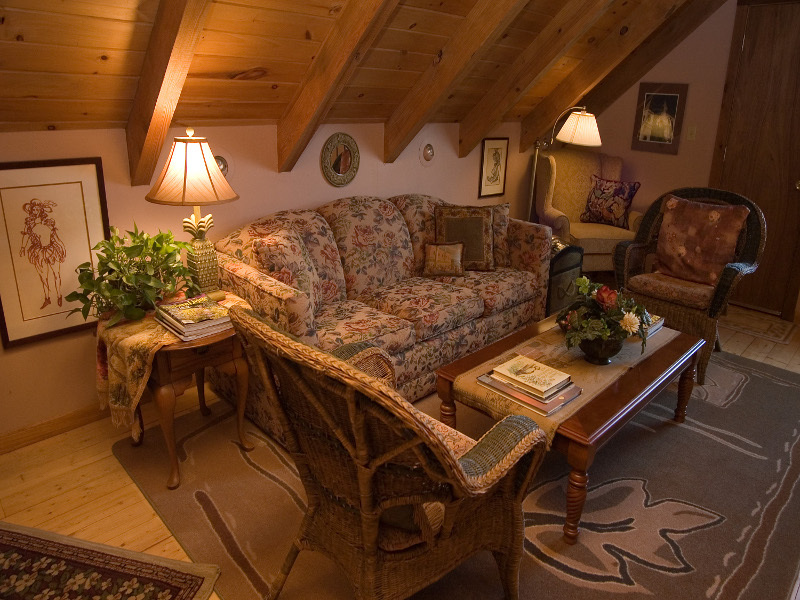 Like the lodge, the cabin is filled with artwork and antiques and also offers all the modern conveniences, including satellite TV, VCR, DVD player, stereo, central heat and air and wifi internet. 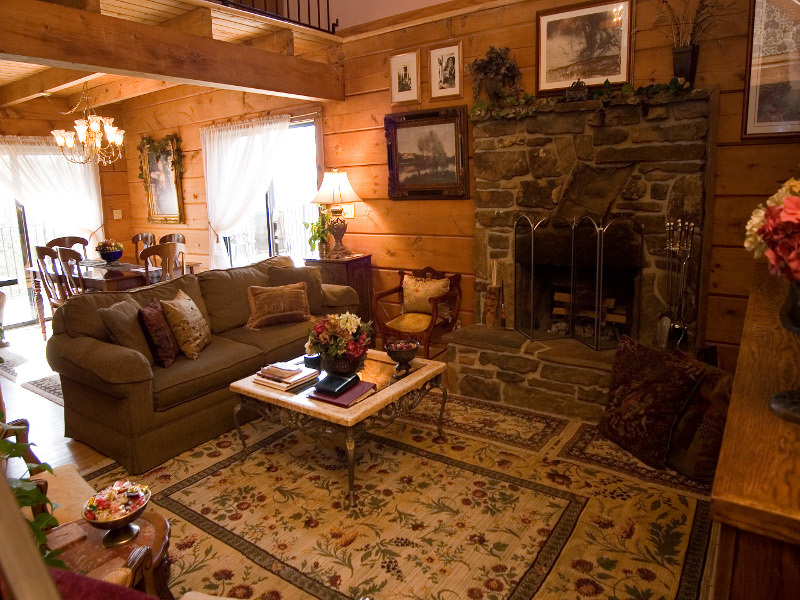 There are 3 large bedrooms, 2 1/2 baths, a living room with a fireplace and a separate dining room. 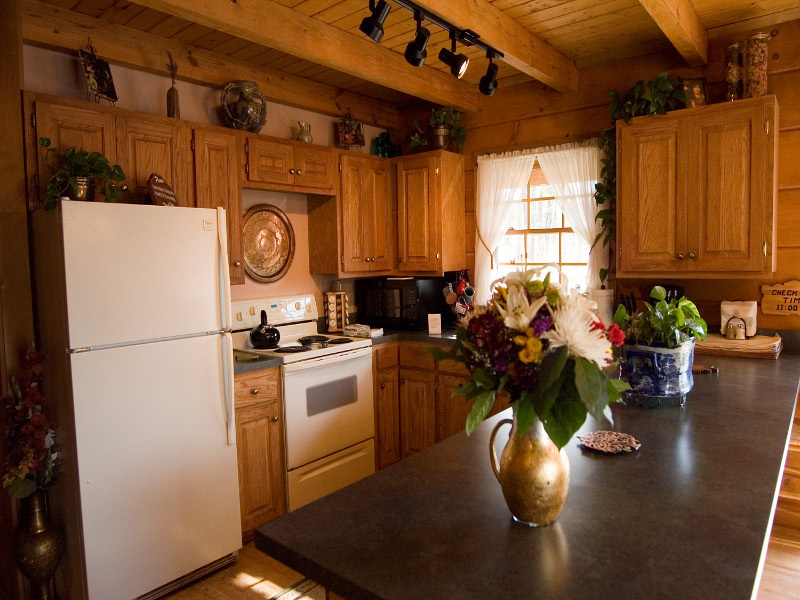 The kitchen is fully furnished and includes a dishwasher, microwave, coffee pot, toaster and all the dishes and pots and pans you will need. 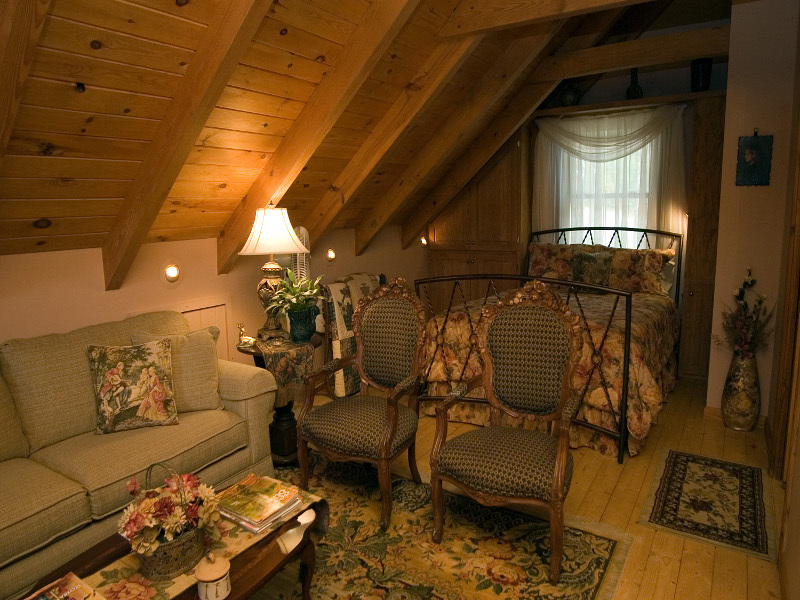 The loft area contains the master suite, complete with 2 sitting areas, a balcony and a bath with a large jacuzzi tub. 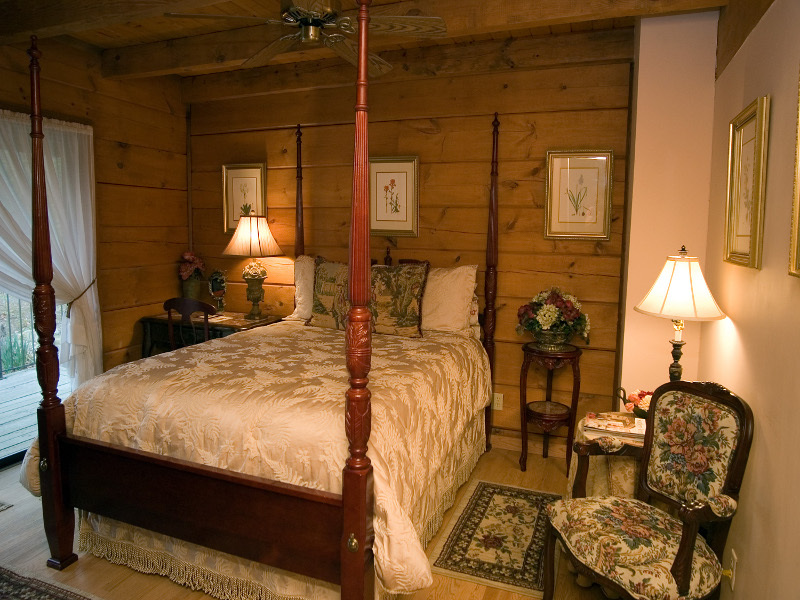 With the 3 bedrooms and 3 couches that convert into queen beds, the cabin can accomodate up to 12 people. Ramps leading into the cabin also allow wheelchair accessibility. 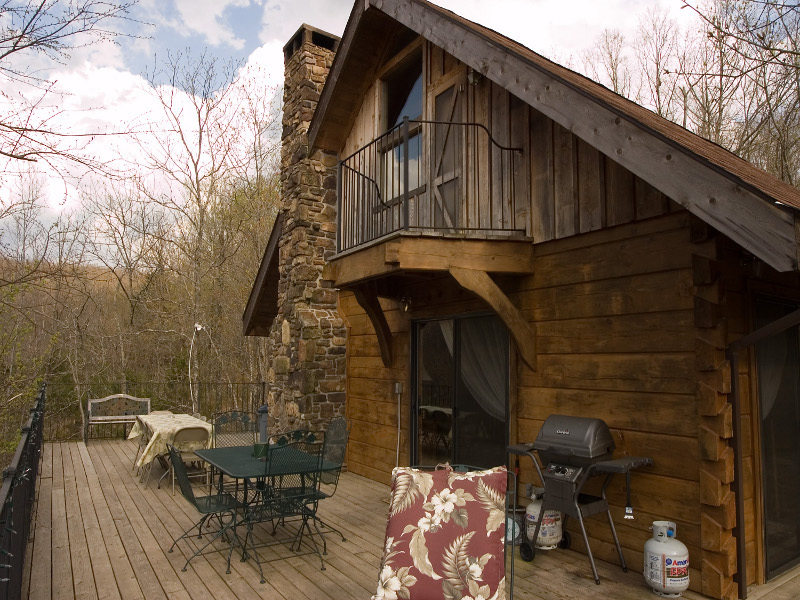 With 1000 square feet of deck space overlooking the hollow, a propane grill and plenty of outside seating, there is lots of room to enjoy the great outdoors. 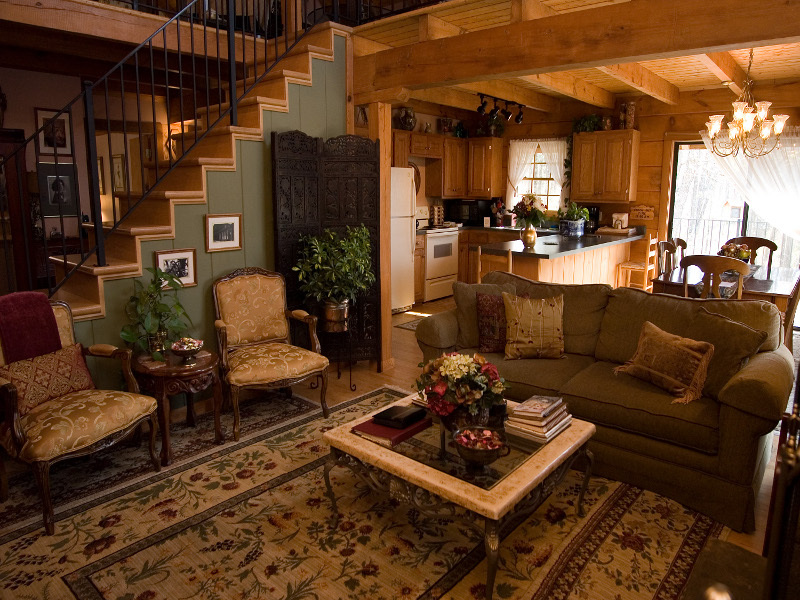 And, guests of the cabin are invited to take the hiking trail which meanders through the hollow, past wild azaleas, umbrella magnolias and rock houses, to the waterfall. 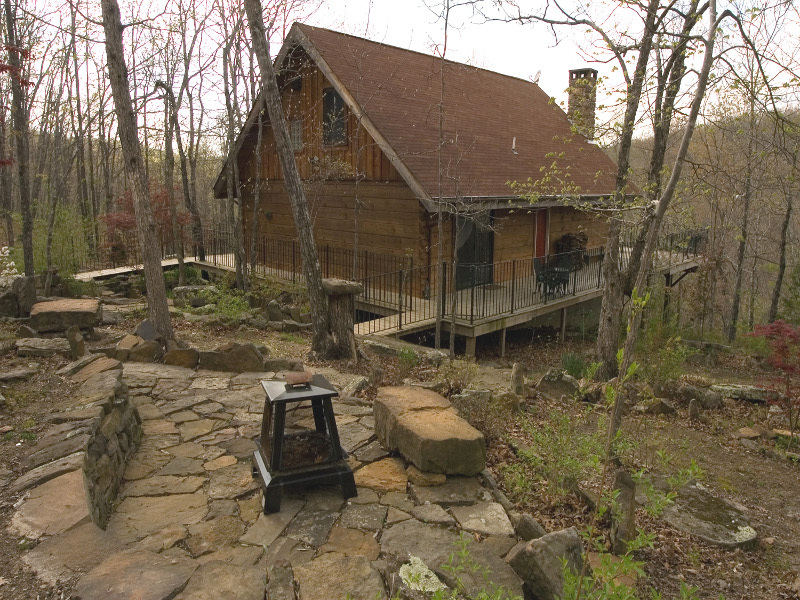 Although the cabin is secluded and surrounded by trees, it is only a short walk from the lodge and, rented together, the 2 facilities can accommodate up to 24 people, perfect for large family reunions, church groups or business retreats (see the Reunion Package for 24). If you have a larger crowd our Beauty Lodge is also available.